Person-centered planning (PCP) is a recent but popular approach in the developmental disabilities community, but it is in need of a behavior analysis. However, conventional applied behavior analysis requires levels of treatment integrity and outcome assessment that appear inconsistent with the methods and goals of PCP. The analysis would require addressing more socially valid goals with innovative procedures, and it would entail less of an experimental analysis and more of the empirical problem-solving process that characterized applied behavior analysis in its early years (see Risley, 1999). Some of the principles that distinguished applied behavior analysis as an effective discipline may now be interfering with its adaptation to the changing developmental disabilities environment, suggesting the presence of cultural inertia. 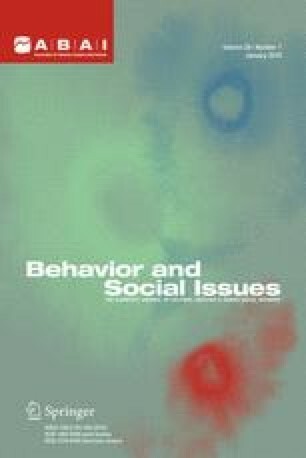 Applied behavior analysts are asked to consider the contingencies and metacontingencies underlying the origin and survival of their discipline, and in particular, the social trends that may be extinguishing residential behavior analysis practices that are inconsistent with the new paradigm in developmental disabilities. The authors wish to thank Tom Mawhinney, Don Baer, Randy Fulton, and Keith Miller for their useful comments during the writing of this paper.